Yesterday’s election, in which California voters rejected five budget measures, dramatized the crisis in governing the state with the 8th largest economy in the world. HAROLD MEYERSON will comment on the popular revolt against Gov. 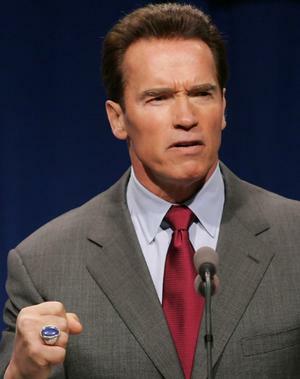 Arnold Schwarzenegger and the legislature, which is not allowed to pass a budget by a simple majority vote. Harold is an op-ed columnist for the Washington Post. Also: Killing civilians in Afghanistan: TOM ENGELHARDT says Americans quickly forget the news reports from the backlands of the “war on terror,” but “forgetting doesn’t work so well in those backlands. When your child, wife or husband, mother or father is killed, you don’t forget.” Tom is the legendary editor who publishes the indispensable TomDispatch.com. Your Minnesota Moment: The state supreme court will begin hearing arguments in Norm Coleman’s challenge to Al Franken’s senate victory on June 1, with a decision expected before the July 4 weekend.